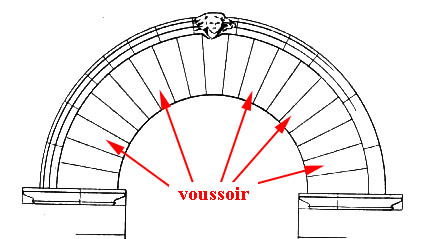 voussoirs: HERZOG & DE MEURON – ARCHITECTURE WITH NO STYLE; NO VALUES: BUT MEANING? 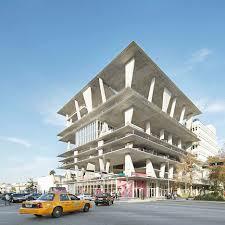 HERZOG & DE MEURON – ARCHITECTURE WITH NO STYLE; NO VALUES: BUT MEANING? 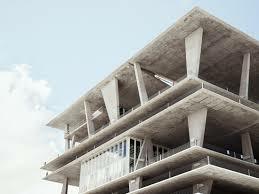 The Herzog & de Meuron lecture on Youtube#, https://www.youtube.com/watch?v=cbIjyVnD3Y8 , was given at the Harvard Graduate School of Design on 05/05/2011 by Jacques Herzog. 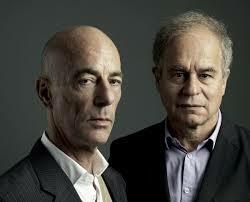 Both Jacques Herzog and Pierre de Meuron studied architecture at the Swiss Federal Institute of Technology. It seems that Jacques Herzog is the PR man, the storyteller for the firm: he gave the lecture which gives a broad overview of the firm's work, its scope, philosophy, and approach. 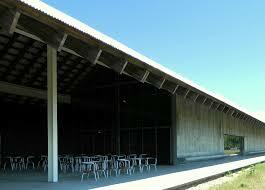 Pierre de Meuron sat in the front row. The lecture was introduced by the dean of the graduate school, Moshen Mostafavi – see: http://voussoirs.blogspot.com.au/2015/12/on-weathering-buildings-and-time.html for a review of one of his books. The lecture is a good presentation, but long - 1:52:24. It follows the traditional pattern of things architectural when it comes to architects talking about their work: a general statement is made on the firm's beliefs, approach and its strategies; then projects are presented pictorially, progressively, historically, starting with the rudimentary beginnings of the firm and finishing with the latest scheme under construction. It is a picture show: each project is illustrated with several carefully selected images, and is spoken about with regards to its beginnings, its origin in ideas, and its development, raising the preferred, perceived references, contexts and strategies involved – the rationale - as well as issues that the speaker might choose to identify to embellish a good yarn. Here gestures are important too. Herzog had the habit of occasionally running his hand over his gleaming, hairless head meaningfully, thoughtfully, as he spoke, breaking his usual dominant stance of arms spread-eagled over the lectern. Herzog himself noted at the end of the talk the somewhat ephemeral sense of the presentation, highlighting the variability of experience of a building; adding that he could use all of the same illustrations and give a completely different lecture. One might rightly call it a story, for presentations such as these really involve the art of storytelling, making interesting fables out of very complicated, contorted and convoluted matters. Complex and difficult issues are glossed over, presented as clever, inventive, simplistic, original ideas that have blossomed organically into reality, as if effortlessly, seamlessly maintaining an integral beauty in the brilliance of their special wonder, their revelation, completely free of any hassles from their conception through to their completion, be these economic, legal, financial, functional, practical issues or other problems: all to give us the ‘glory’ pictured in the edited images: see - http://voussoirs.blogspot.com.au/2014/04/seeing-what-we-believe-idyllic-visions.html It is somewhat like listening to a fairytale. There is something of the cargo cult mentality here: the anticipated ‘goods’ come directly from the gods for the indulgent engagement of the naive students and others; for the fulfilment of their hagiographical premonitions. The audience has come primed with the expectations that the ‘genius’ declared in the promotional publications will be revealed, conjured miraculously before their very eyes. While the presentation occurred nearly six years ago, there are issues that need comment. Ideas and their logic, or lack of it, do not get healed by time, smudged or forgotten. If anything, time only gives more space and depth for reviews that could include things different and otherwise when seen with a perhaps richer understanding than that which might have existed at the time of the lecture, clouded with its inspirational hype and awe. Herzog began the talk with a provocative statement on books. 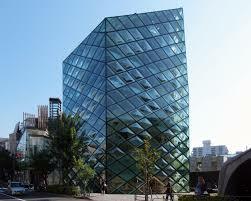 He believed that books on architecture should be abolished; that they have no role other than to glorify the author. He made a particular point to draw a difference between his talk and a book on the work of the firm, claiming that there was no similarity. It seemed an odd, somewhat ironical position to take when much of the firm’s reputation has been developed across the world in books that do just what his talk will do, be these electronic files or paper publications; thick or thin; magazines or in-depth studies; or mere images with reviews. The debate on this subject was closed down, as there was no time for this idea to be expanded - ‘unpacked’ is the latest fashionable jargon word for this process. One wondered if Herzog had ever read the books of say, Augustus Pugin, John Ruskin, or Louis Sullivan, and understood the astonishing impact they have had on architecture. There is no point in going over the whole talk in detail, as it can be watched on Youtube. What can be done is that points made in the lecture can be identified and explored in order to assess their rigour, their coherence and inner logic, for there did appear to be some challenging statements made. 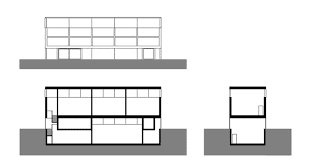 Single Piece (quarry of mixed typologies). 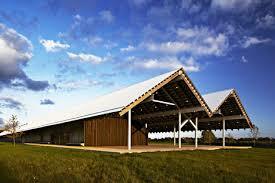 Each heading had particular projects listed under the selected category. It was a strange listing that was difficult to interpret other than as some post-event rationalisation of the firm’s variegated work. 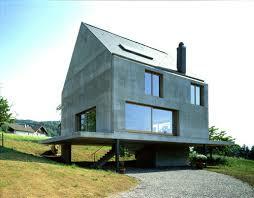 The ‘House’ referred to the child’s diagrammatic image of home, a shape that had been used in various projects. ‘Stack’ referred to the child’s native desire to place things on other things. It was a strategy that had also been used in various projects, literally. ‘Structure’ identified projects that had their forms shaped by structure in the sense that a geodesic dome structure is the dome, nothing else. The last category, ‘Single Piece,’ looked like the ‘and everything else’ but used ‘learned,’ academic language for this random catch-all listing, seemingly to make it appear less of a bin for leftovers that did not fit into any other category. There was little that was universal here. 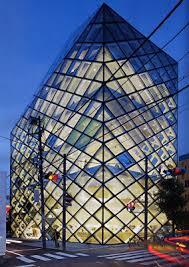 The list identified something only to do with Herzog & de Meuron’s work, and appeared relevant to no other office or context. 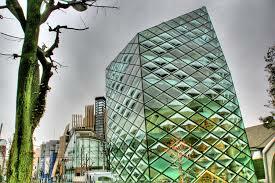 It looked like a way of giving sense, structure and stringency to something ad hoc, haphazard and random. Is it the making and shaping of a system for meaning? These categories came with the statement that the firm’s work was rigorous – Q.E.D., an abbreviation of the Latin words "Quod Erat Demonstrandum" which loosely translated means "that which was to be demonstrated"? - that it did not involve ‘decorative tricks.’ Was this a way of avoiding the critique that the work was randomly flippant, inconsistent and variable? This apparent disparagement of decoration is interesting. One might as well have been quoting Adolf Loos, declaring that all decoration was a crime. 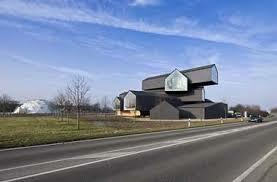 So did this attitude to ‘decoration’ place the Herzog & de Meuron work directly into Modernism? Well, no. In the question session, yet another standard fragment of the format for architectural talks, Herzog declared that the work has no style – no style at all. * For work that is carefully assessed and analysed in every aspect, as Herzog described the process – rigorous investigation and reasoned response - one has to wonder what the schemes and their options are being judged on, if there is nothing guiding them but – well, whatever might be beyond ‘style.’ Is the source of judgement merely personal preference? Can it involve just the client’s brief and a rational reaction and result? Herzog defines nothing; declares nothing; claims nothing other than showing the work’s ‘Genesis traits,’ that the work is ‘good.’ One wonders if the guide might not indeed be ‘decorative' - its appearance, its visual satisfaction, its ‘right’ feel, whatever this is: does countenance become the gauge? 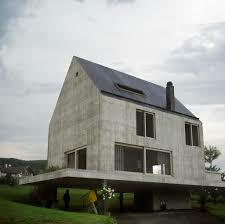 Perhaps this is Modern Revival work where pure form is organised by pure function? Why is decoration so maligned? 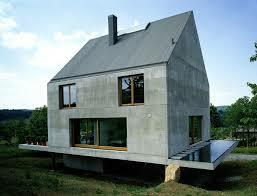 Is it that Herzog is no good with decoration; does not know what to do with it: what, when, where, why and how? Louis Sullivan said that it would take architecture over one hundred years for it to regain confidence in meaningful decoration. How does Herzog see historical architecture that is rooted in decoration that has an integral role in expression and meaning? Are these works all seen as being ‘tricky’? Surely not; then why is he apparently so uninterested in enrichment beyond funny shapes, quaint interpretations, smart references, and unusual variations that others could easily see as being diagrammatically ‘decorative’ in some dumb rudimentary fashion that has nothing to do with the richness in context and meaning of the decoration on a Chinese Ming vase? One student was bold enough to ask Herzog, the ‘god-man with the microphone’ - the base of all power in these sessions - about the value system that was being used in this work. Herzog immediately expressed – feigned? - puzzlement on this question, that seemed simple enough, as his hand ran over his head, saying that he did not understand it. He cheekily asked the questioner to list the values he was referring to, suggesting that there were none. This pause allowed Herzog to gather his thoughts and come back again to cleverly, almost smugly suggest that the values were all those of the questioner, the ones that he, the questioner, was imposing in his reading of the work: your problem! There was no more to be said on this matter; but the student did have a point. There were values expressed in the presentation. Apart from the preferences for various strategies and choices, one more obvious example was in the small gallery in Munich. Here there was an underground gallery and one above ground directly over it. Both gallery spaces were detailed identically so as to avoid any hierarchy, suggesting that Herzog held the ‘value’ that all men should be treated equally, fairly, and not be discriminated against. One could go on and on into intimate detail, asking why and how such and such an outcome was preferred, but the point is that the work does come from a value system, no matter how frequently Herzog might claim otherwise. Why select this and not that? Nothing is ‘value-free.’ Even the dislike of decoration, its ‘tricks,’ says something about values.+ Why is Herzog worried about exploring these matters? Might the whimsical dreams of the fairytale be disrupted? Could ‘genius’ be revealed as something ordinary; something more open to challenges; perhaps something snidely sinister? But what about meaning? 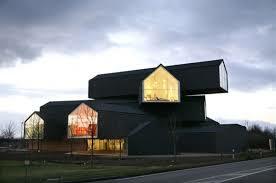 The Vitra Haus building in Switzerland reads as a random stack of symbolic house forms, ** (using the ‘House’ and ‘Stack’ categories), looking exactly like what was said to be, and was shown as the primal, ‘inspirational’ sketch. Herzog explained that this is apparently the building out of all of those designed by the firm, that most rigorously maintained the initial notion throughout its development. That this ad hoc scribble of a compilation in form might gain its ‘meaning’ through the child-like, native, natural ‘House’ and ‘Stacking’ concepts identified in the originally defined list, is simply trite when one asks about how folk read this project; experience it, its uniquely unusual making and shaping. 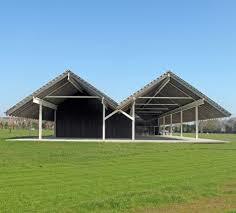 There is much more involved in architecture than a child’s drawing and stacking for folk to ponder. Why is the complex ‘otherness’ of architecture ignored, the incorporation and clarity of ambition and intent beyond the formal engagement with the story of form? There appeared to be some sleight of hand going on in the talk: establish the organisational ‘rules’ as categories, and then refer to them for heightened meaning and relevance in their application, as if this might establish meaning in purpose beyond the self-consciously selected categories. 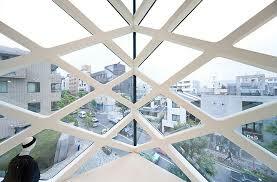 The strategy seemed self-referential; circular; hollow. One was left wondering: what else was going on in this presentation; what other ‘non-decorative’ tricks were being manipulated? One could argue that the work is somewhat like the design of futuristic cars, those concept vehicles that get made for promotion and display, and which test future ideas now. 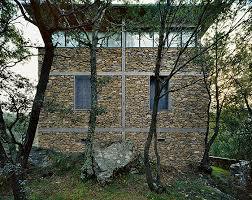 Perhaps the Herzog experiments are trying out things – ideas, materials, processes, strategies - that could become everyday? Is it like the Mercedes ABS braking system that was once experimental and is now used everywhere? Who knows? 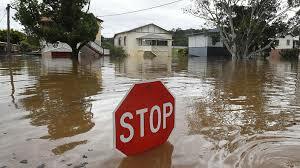 It does not appear to be like this. 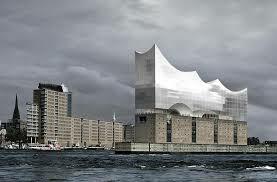 The other architects that Herzog spoke about were Gehry and Hadid; Piano was mentioned too, as an aside. 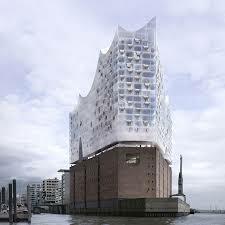 The Herzog & de Meuron work has touches of the random, florid, freehand Gehry & Hadid approach. 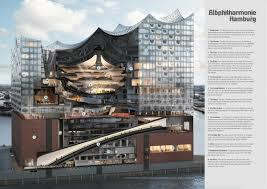 Indeed, its use of concept scribbles is identical to the ‘inspirational’ Gehry work. 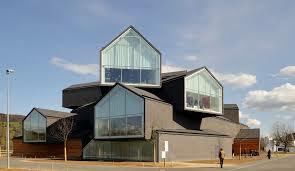 It also has some Piano rigour and rationalism - ‘other typologies’? What seems to be happening is that there is much commercial competition in chasing jobs. 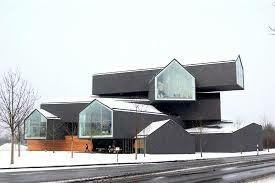 The more one can be outrageously successful, ‘Bilbao-like,’ the more one will be noticed, and the more work one will be offered: so more and more ‘avant garde’ work seems to be appearing, promoting the perception that real ‘architecture’ is bespoke and exceptional; the rest is mere ordinary building – c.f. Pevsner’s cathedral and bicycle shed. 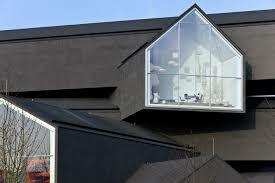 This ‘avant garde’ approach places architecture into the world of competition where things unique and bespoke come to be seen as desirable; where the ordinary richness of things is pooh-hoohed in favour of the razzmatazz of things startlingly experimentally different, constantly testing the edge. These works are noticed; spoken about. After all, in the world of commerce, slick advertising, which this work really is – advertising the firm and the client – is the basis of success. It has nothing to do with reality; nothing to do with the ‘everyday,’ be this in the ordinary office environment/experience – even Herzog’s## – or of the simple daily grind of existence. It is really all pure fairytale for dreamers – see: http://voussoirs.blogspot.com.au/2015/01/richard-leplastrier-ephemeral.html . . . travellers’ tales from afar: ‘feel-good’ yarns. The individual is easily squashed, dismissed as dumb, irrelevant, misguided, as we saw in Herzog’s response to the questioning student. This sad ‘smarty-pants’ act lessened the impact of the work and its intent. It was clear Herzog knew what he wanted to know and would accept nothing less or otherwise. Yet again he noted his hatred of books, an idea to be developed later. 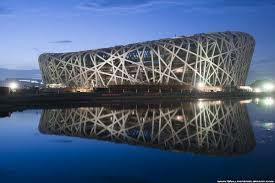 Beijing National Stadium - decorative 'mixed typologies'? Herzog closed the session with comments on food as a measure for urbanity: next semester. Moshen Mostafavi managed the question time with a relaxed, almost careless nonchalance, patting Herzog on the shoulder a couple of times – was this a message? - and awkwardly intruding into his personal space without seeming to know or care. At times he looked like a besotted teenager drooling over the idol. 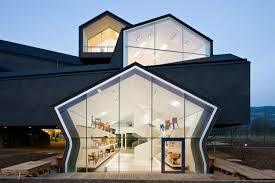 Is the firm promoted as this at the Harvard GSD – as ‘ideal’ architects? 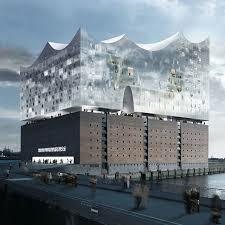 Is this ‘experimental’ work the architecture that the GSD promotes? 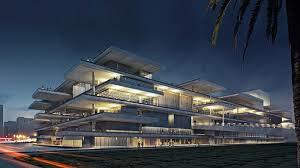 What might this mean for architecture; for education? Where is the doubting; the questioning; the debate? On meaning, it appears that Herzog would argue that all values and interpretations are bought to the work in the experience of it; that the work itself is neutral, promoting, declaring nothing other than perhaps its own inner necessary logic for its being there – the Modernist ideal of functioning forms. 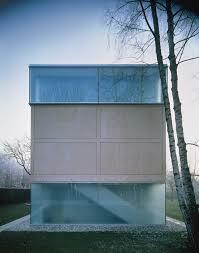 Perhaps expression becomes only a specific collection and declaration of the ‘categories’? So is the work truly Modern Revival? 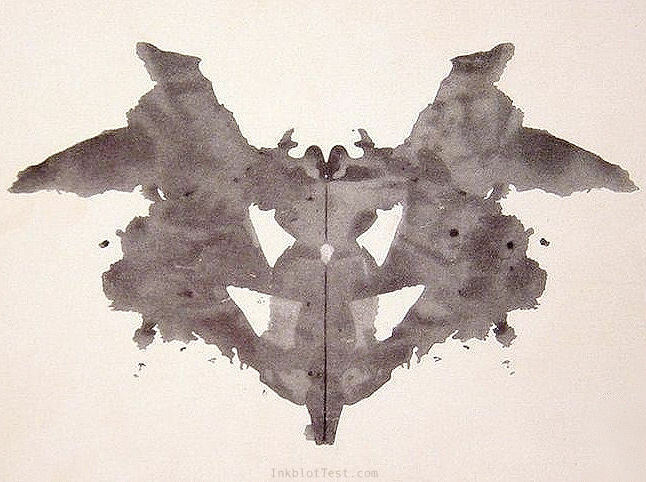 In this sense, one might see the work as ‘inkblot’ architecture inspired by Rorschach’s Test. 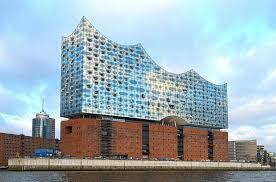 This begs the obvious question: how does one design an ‘inkblot’ building without specific intent? Every step of the way in the complex and complicated process of building design and construction requires assessments, decisions and determinations to be made in every intimate detail. Can this truly be managed in a complete void? Herzog seems to hide behind his artificially concocted schedule to avoid explaining the meaning in the clutter of approaches revealed in his firm’s projects. One wonders why: why is the challenge of knowing rejected when references and stories are freely promoted? 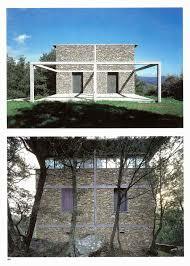 Does any of this work have ‘the thrill of great architecture’ (Clark, ibid. p.134/135) or is it just intriguing, interesting, entertaining work that can attract, detract and distract? 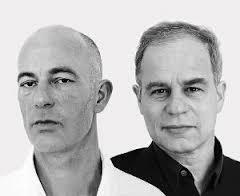 Jacques Herzog and Pierre de Meuron both studied architecture at the Swiss Federal Institute of Technology Zurich (ETHZ) from 1970 to 1975 with Aldo Rossi and Dolf Schnebli. 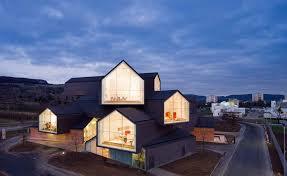 They received their degrees in architecture in 1975 and established their own practice in Basel in 1978, which became Herzog & de Meuron Architekten AG in 1997. The partnership has grown over the years and today the office is led by the Founding Partners alongside Senior Partners Christine Binswanger, Ascan Mergenthaler and Stefan Marbach. A team of 340 collaborators is working on over 35 projects across Europe, North and South America and Asia. 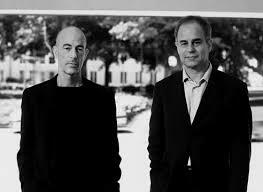 Jacques Herzog and Pierre de Meuron are visiting professors at Harvard University, USA (1989 and since 1994), and professors at ETH Studio Basel - Contemporary City Institute, ETHZ (since 1999). 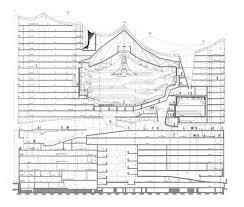 Herzog & de Meuron are known for designs that are at once highly inventive and sensitive to the site, geography, and culture of the region for which the building is planned. 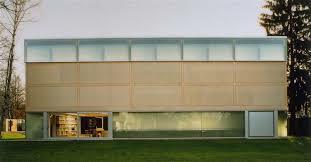 The practice has been awarded numerous prizes including The Pritzker Architecture Prize in 2001. 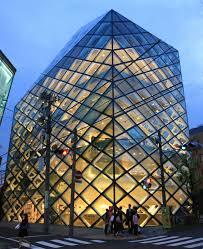 Their most recognized buildings include Prada Aoyama Epicenter in Tokyo, Japan (2003); Allianz Arena in Munich, Germany (2005); CaixaForum Madrid, Spain (2008); the National Stadium for the 2008 Olympic Games in Beijing, China. Perhaps the firm's highest profile museum project to date is the conversion of the Bankside power plant to Tate Modern in London, UK (2000). 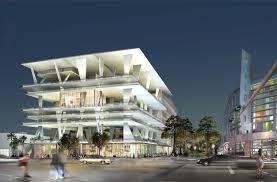 The new development for completion of the Tate Modern Project is scheduled for 2012. 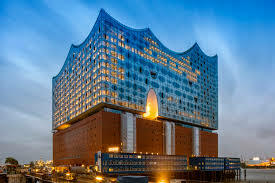 Current projects include Elbphilharmonie Hamburg, Germany (projected completion 2013); the new Parrish Art Museum in Water Mill, New York, USA (projected completion 2012); and the design of the new Sao Paulo Cultural Complex - Dance Theater, which will consolidate the largest cultural district in Brazil (projected completion 2016). In the history of taste true understanding of an unfamiliar style is often preceded by a period of ill-informed and uncritical enthusiasm, a period which provokes the amused wonder of more enlightened times, but is usually the healthiest and most natural path to real appreciation. 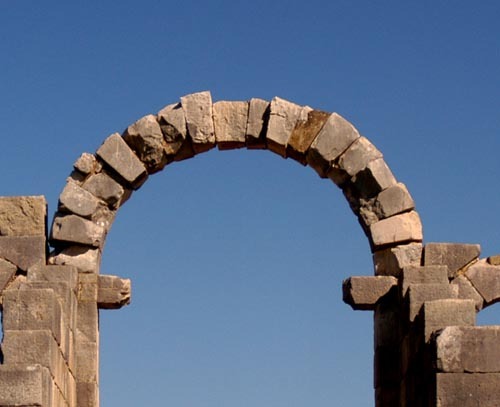 We are incapable of isolating the sensation and of enjoying a dramatic effect without the interference of truth, and there has come to be something shocking in the discovery that a seeming castle is only a disguised cowshed. It is a sham; it is telling a lie. Somehow, at some period since the eighteenth century, simple Romanticism has changed into a complex ethical position; our critical outfit is no longer complete without the weapons of morality. 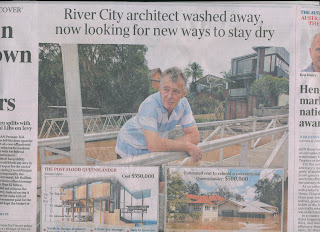 The ‘critical outfit’ can be seen to be that of the architect in the making of design decisions, choices, and that of the observer. But we must remember that men will change a good shape for a bad one from no other motive than the desire for change. Obviously no man could accomplish so much unaided, and we must imagine Wyatt, like Rubens, making the first sketch and putting in the finishing touches, but leaving the drudgery to pupils. Roger Scruton, in Green Philosophy How to think seriously about the planet, Atlantic Books, London, 2012, explains his understanding of the failure of modernism as being the failure to do what these buildings do so well: they are neighbourly, even though they stand distant and alone; unpretentious, not seeking to establish their own unique identity as ‘great works of architecture,’ just as good work: c.f. E. F. Schumacher Good Work, Harper & Row, New York, 1979. 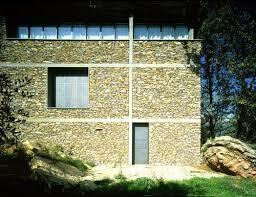 In this way both buildings acknowledge even the landscape they stand in. They improve it. It is for this reason that Gostwyck/Deeargee is sought out by visitors: The place offers a rare experience of ordinary significance; special importance. There are great works of architecture and often, like the churches of Mansard and Borromini, they are the work of a single person. 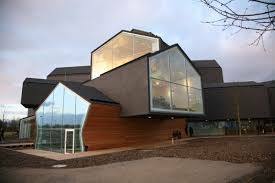 But most works of architecture are not great and should not aspire to be so, any more than ordinary people should lay claim to the privileges of genius when conversing with their neighbours. 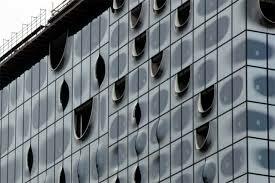 What matters in architecture is the emergence of a learnable vernacular style - a common language that enables buildings to stand side by side without offending each other. The concern is that things ‘avant garde’ only look after themselves; they are self-centred, declaring the bespoke cleverness of ME. Worse, they mock the minds that are puzzled with doubt.